What would summer be without dragonflies? 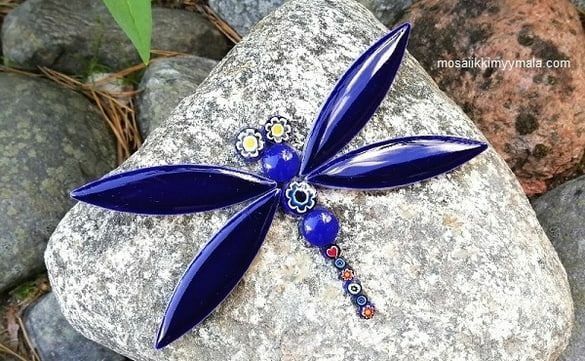 Choose the color of your favorite dragonfly DIY-kits, search a flat stone, clean it and glue a beautiful dragonfly on it. 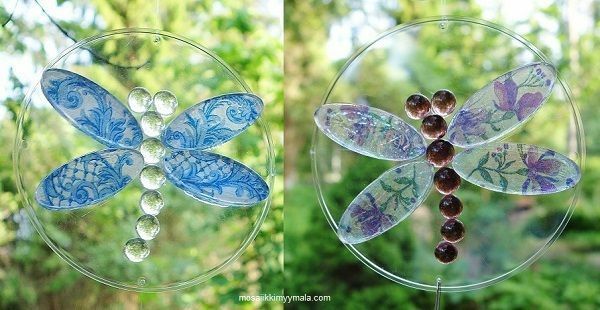 Make another dragonfly using ceramic ellipses, mini glass nuggets and millefiori. Glue the translucent ellipses on your favorite servet with Olba glue and let it dry. Cut off the ellipses and glue them on the plastic disc together with mininuggets. Combine some plastic discs and get a wonderful detail on the garden or balcony. The dragonflies are beautiful inside the window in wintertime. 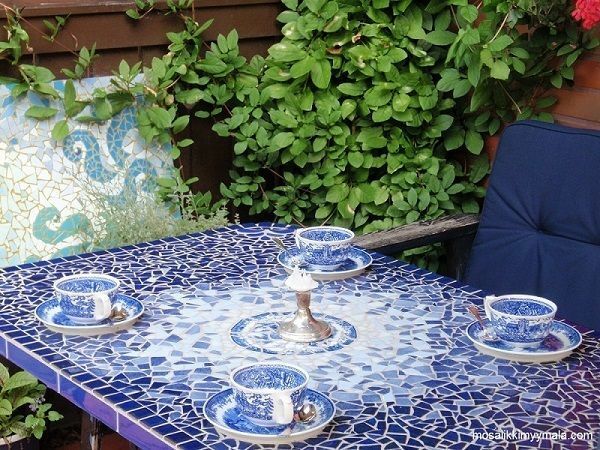 Combine glass mosaics, ceramic tiles and beautiful cup pieces, the result is always unique. Make beautiful details to garden and balcony! 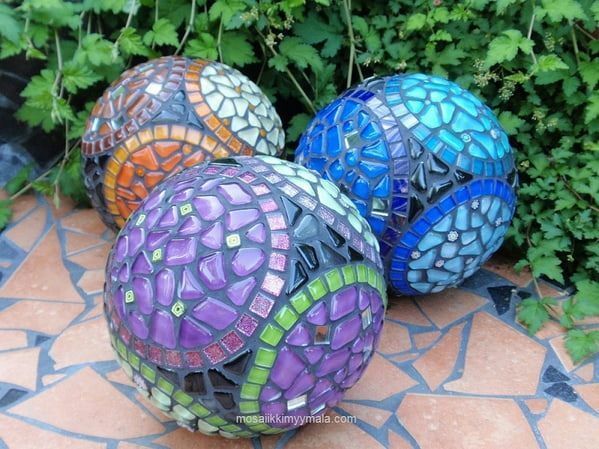 Cover styrofoam balls with soft-glass mosaic, mirrors and millefiore. Styrofoam balls are available in different sizes. With Creative cement you´ll succeed! Be a designer on your own! 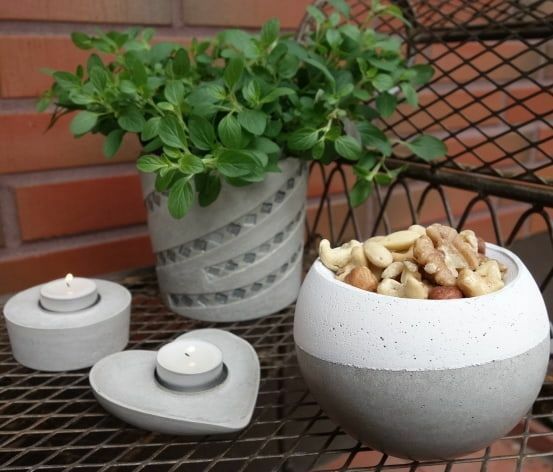 With the creative-cement of Rayher it´s easier than ever to create living, decoration or gift ideas by yourself. Try all our different cements and casting moulds: Creative cement, Creative kneading cement and Jewellery cement. 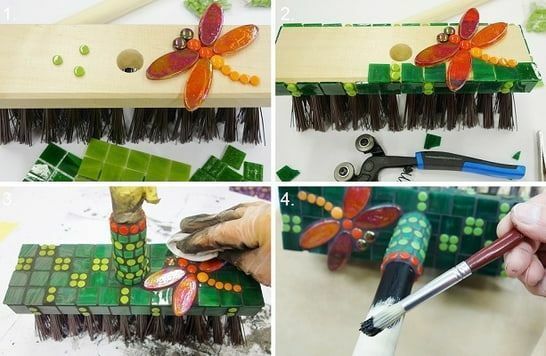 Glue the dragonfly first, then cut the glass tiles in pieces with wheeled glass nippers, glue all tiles and let the mosaic work dry carefully. Grout the mosaic work on the next day and finish by painting the arm with black paint. You can also coat the entire arm with glass mosaics. Next mosaic work for a summer cottage? 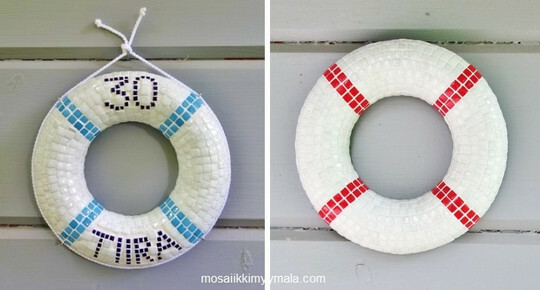 Cover a styrofoam ring with ottoman glass mosaics. You can also "write" the cottage number with micro mosaics. Glue some small patterns into details, let the mosaic work dry, grout it and hang it on the door. 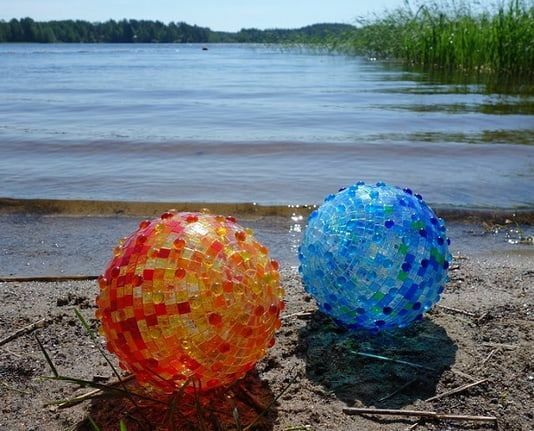 Cover large plastic balls with acrylic mosaic and mininuggets. Put the LEd lights inside in the summer night, beautiful!